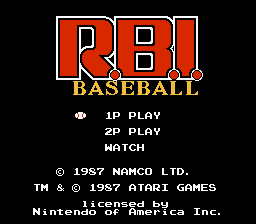 Have you ever wondered who made RBI Baseball for the NES? Well, then I have a treat for you! Which actually only consists of the one screen. 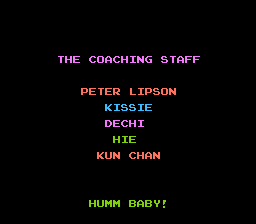 But hey, now you know who to blame for this game.